Having a working air conditioner in Florida is not a commodity: it’s a necessity! And when you need affordable AC financing plans, Super Heat and Air has your back! We’re one of Tampa Bay and Central Florida’s best air conditioning companies for affordable AC financing. Super Heat and Air offers financing options to make a new energy efficient AC system affordable to anyone! Yet too many people in Florida believe installing a brand new AC system is too expensive. But before you give up, call us at 813-609-5015! We have various options to make it possible for you to own a high efficiency AC system! 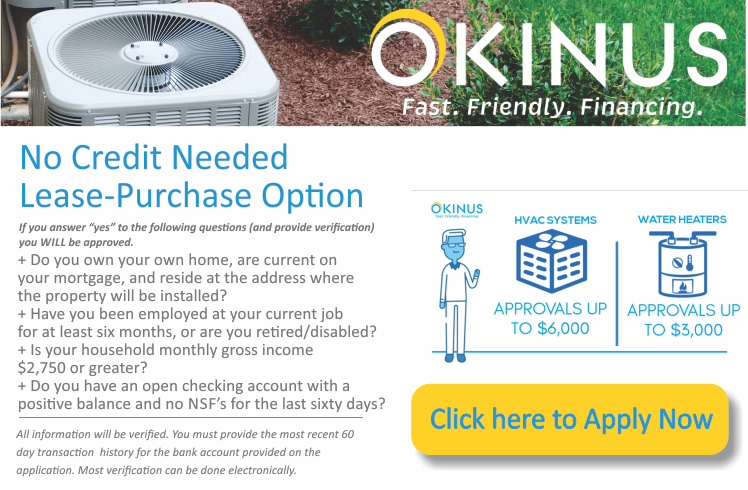 Zero percent interest options are also available with approved credit for qualified Tampa Bay and Central Florida homeowners. If your AC system is more than 10 years old, it’s time to get it replaced. And we can help! Pay no interest for 60 months. Get monthly payments for as low as $49 a month with approved credit. Good air conditioning companies will offer great financing options. Super Heat and Air will install a brand new air conditioning unit for you. And we have affordable AC financing plans to help you own it! We also provide assistance so you can start saving on your electric bills immediately! Get rid of that clunky, noisy old AC unit that’s costing you too much money in electric bills. 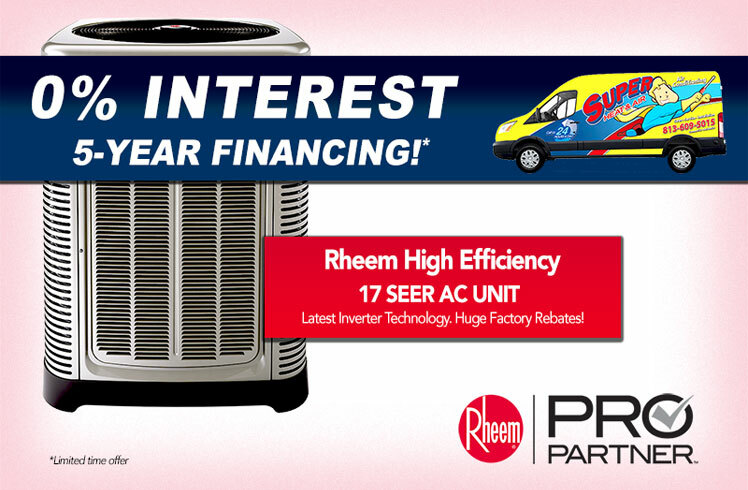 Find out how to take advantage of our air conditioner financing plans for your new HVAC system at zero percent interest! Have you heard about the Florida PACE program? It stands for Property Assessed Clean Energy. And it’s a way to get financing for a brand new energy efficient AC system at no upfront costs. Super Heat and Air is an authorized Florida PACE program air conditioning contractor. Which means we can help qualified homeowners take advantage of the benefits the program has to offer. So ask us about Florida PACE program financing and find out if you qualify. When you’re ready to enjoy a brand new energy efficient air conditioner in your home, call us at 813-609-5015! We’ll have a brand new AC unit installed quickly at an affordable price to you.